It´s on the consideration film for the Academy awards. Funimation, the American Publisher for the Makoto Shinkai´s Movie “Your name”. The Contender submission entrance ended in November 1. 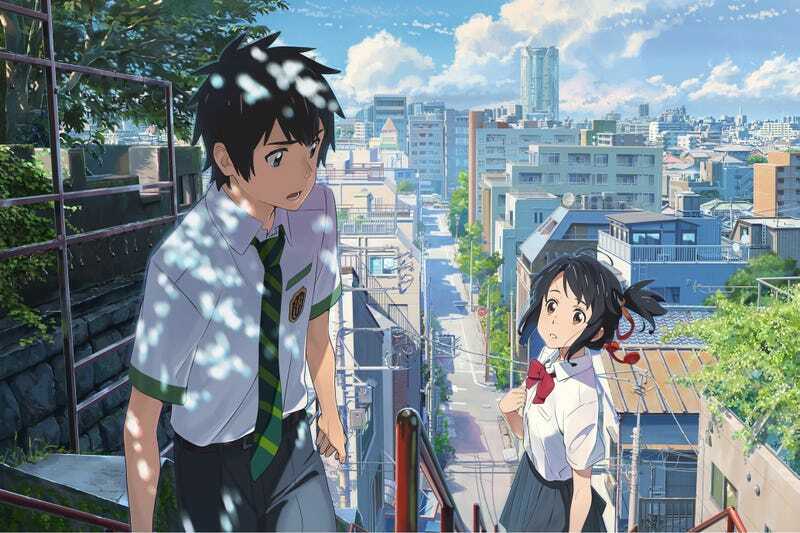 “The film’s “story of miracles and love” revolves around Mitsuha and Taki. Mitsuha is a female high school student who lives in a rural town nestled deep in the mountains. Her father is the mayor and isn’t at home much, and she lives with her elementary school-aged little sister and her grandmother. Mitsuha has an honest personality, but she doesn’t like the customs of her family’s Shinto shrine, nor does she like her father participating in an election campaign. She laments that she lives in a confined rural town, and yearns for the wonderful lifestyle of living in Tokyo.